The Snore Eliminator™ adjustable two-strap unit ensures comfortable tension while ensuring position integrity during sleep. The chin strap assists in keeping the jaw and mouth closed, thus forcing the mouth snorer to breathe through the nasal passages. By simply changing from a mouth breather to a nasal breather, snoring can be decreased or completely eradicated beginning the very first evening. An additional benefit from nasal breathing is that it greatly reduces dry mouth and dry throat. 1. 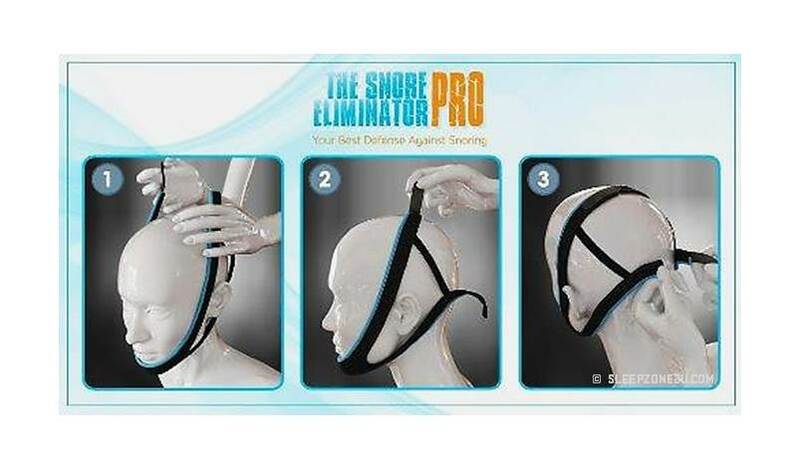 Position the Chin Support Strap as shown below. 2. For additional closing force, place straps more toward the front, even to the extent of overlapping the rear strap onto the front strap. 3. You can cross the rear strap over the front strap for more upward force. 4. Experiment with differing tension, using our exclusive two-strap adjustable tension and positioning system. 5. Once a comfortable workable position is obtained, you can simply slip the unit off and on without changing the adjustment positions. 6. 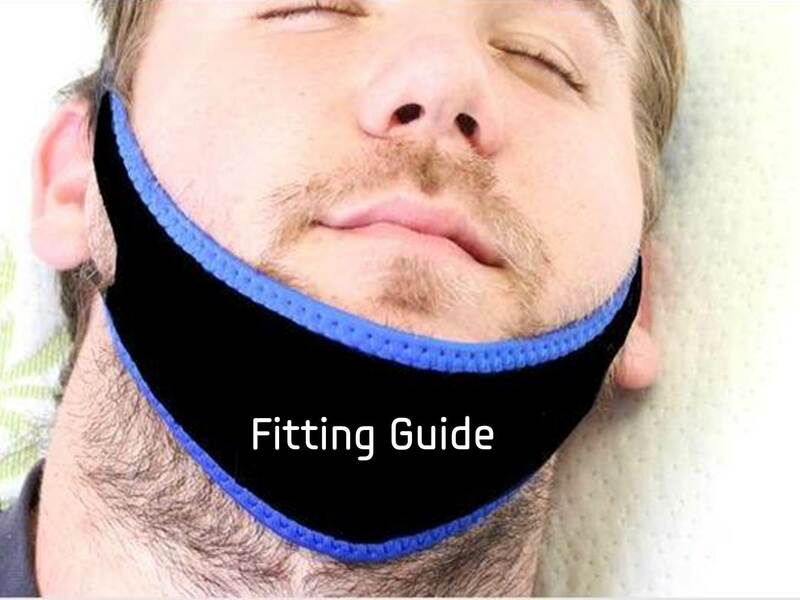 The Chin Strap can also be re-positioned at any later time, if desired.